Moonlighter is a rogue-lite game about a shopkeeper that dreams of becoming a hero. Moonlighter has procedurally generated dungeons, extremely hard bosses, tones of cool items, a mountain of gold, many silly enemies, and just one shop. Moonlighter si vybral dvojicu výborných hrateľných princípov a mieša ich ukážkovým spôsobom. 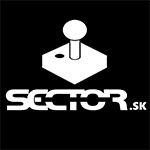 RPG, kde sa šmelia predmety, získava nový nádych vďaka ich náročnému získavaniu i monetizácii, je tu výborný spôsob práce s ekonomikou a priamym dopadom na hrateľnosť. Boj je tuhý a váš rozvoj sa nemeria iba veľkosťou meča či silou brnenia, ale celkovou prosperitou. Indie hra ako remeň! Who would have thought that the classic action-RPG would be revitalized by the typically boring prospect of running a small business? Diving into procedurally generated dungeons and slaying beasts with every manner of weapon answers the question, “What would a 2D version of Breath of the Wild look and play like?” Well, sort of like Moonlighter. The beauty of Moonlighter is how seamlessly it bends dungeon-crawling with a store simulator. Every action you take, whether it be in the dungeons collecting materials or in your shop earning gold to spend on upgrades, helps to move you further along towards your end goal. There were a few technical hiccups that cropped up from time to time and the last few upgrades needed a bit of grinding to unlock. The graphics possess a cute cartoonish refinement with more than a touch of anime influences, paired with excellent animations and spellbinding music which together creates a truly exceptional and wonderful atmosphere. So, what are you waiting for? Grab your Nintendo Switch, turn on Moonlighter and turn all your dreams into reality. You owe it to yourself. Moonlighter combines two very different genres in a very organic way. The game rewards you for delving deeper into the dungeons, and it is very satisfying seeing your hard work literally pay off. The art style is stunning and the music compliments it well. 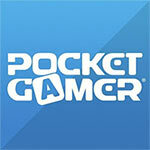 However, it would take a performance patch and the ironing out of a few bugs to cement this game as a true gem. I’m not completely calling these issues dealbreakers, particularly since the good stuff carries much more worth than the bad. Moonlighter is one of those titles that just sort of ended up making me okay with its contrivances and keep playing for a pretty long while. In fact, just thinking about it as I write this is making me want to fire it up again, so it absolutely is under my skin. 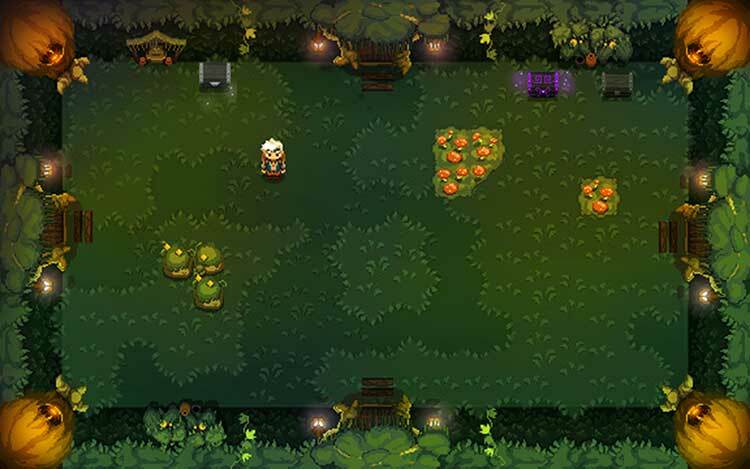 If you want to play a top-down Legend of Zelda game as a rogue-lite while also taking shifts as a shopkeeper then, hey, Moonlighter is about to scratch a distinctive itch for you. It hits a sweet spot somewhere between satisfying swordplay and nitty-gritty economic sim, although some players may feel it gets ‘grindy’ after a while in its mechanics. Nonetheless, Digital Sun Games has produced a lush work it can be proud of; one that even touches on our humanity in an optimistic way. 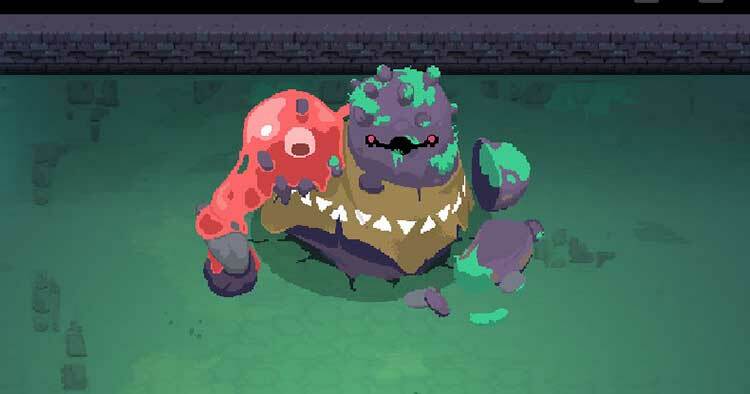 Moonlighter might not seem that different from your average Kickstarted 16-bit platformer, and of course, there's not a huge amount of novelty in slaying monsters or selling loot, but Moonlighter's gameplay loop is well paced for the most part and only stumbles around the minor boss fights. The 16-bit style is lovely and so is the soundtrack, so if you're looking for your next indie-gem we would definitely recommend checking it out. Ultimately, though, Moonlighter is another brilliant indie game on Switch. It sits just shy of Dead Cells, Enter the Gungeon and Binding of Isaac as a top drawer action-RPG rogue-lite. We’d recommend approaching your friendly shopkeep for a copy post-haste. And don’t annoy them, whatever you do. In the end, Will is right: exploring dungeons and collecting loot is more interesting than tending shop. Still, both spheres of this game are interesting, rewarding, and fun. 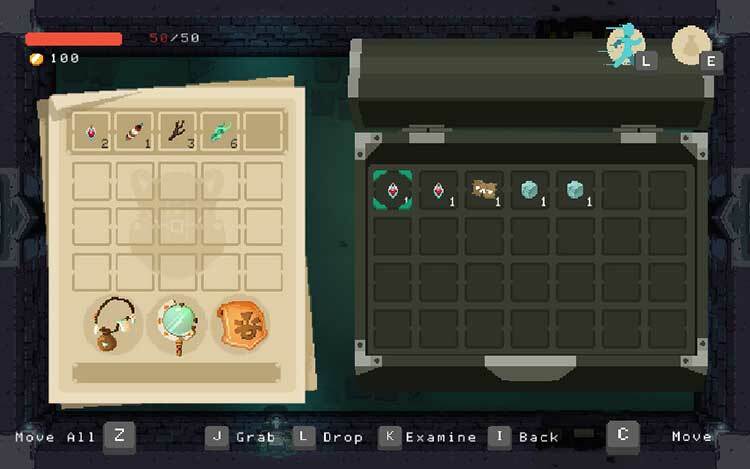 While repetition permeates the overall process—attacking the same dungeons and selling the same treasure day after day, night after night can turn tiresome—Moonlighter's combat, art, quality-of-life fixtures, and addictive gameplay loop make for an easy recommendation. 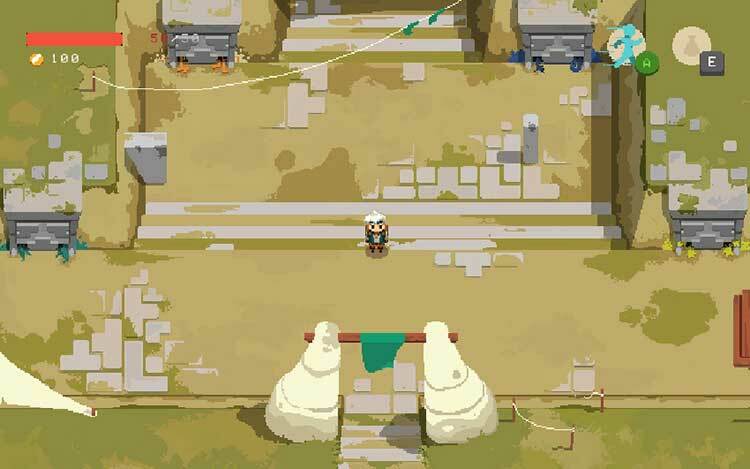 In spite of an ending that arrives too soon, Moonlighter manages to offer an engaging balance of commerce and action up to the very end. There is a natural rhythm to opening the titular shop during the day only to dungeon crawl once night falls. 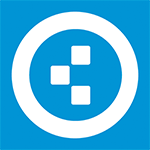 Progression is constant, emphasizing a design philosophy that prioritizes a lack of wasted time above all else. Moonlighter is a wonderfully charming adventure with a gorgeous style. Fans of the genre will have an absolute blast. Managing the store and exploring the many procedural dungeons never grew tiresome and the games upgrade system for both the Town and Will kept me going back for "just one more round" long into the evenings. Moonlighter es un videojuego de primer nivel creado en Valencia, con un gran apartado visual y un concepto interactivo con mucho carisma. Títulos como el que nos ocupa, RiME o el futuro Blasphemous, por poner varios ejemplos, demuestran el talento que están desarrollando muchas empresas en nuestro país. Neben dem eigenen Geschäft kann man auch die Entwicklung der ganzen Stadt vorantreiben, neue Handelspartner anwerben, seine Ausrüstung verbessern oder andere für sich schuften lassen. 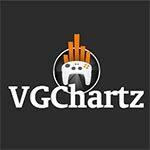 Die Möglichkeiten bleiben zwar trotz zusätzlicher Inhalte und Anpassungen überschaubar, eine gewisse Routine unvermeidbar, trotzdem bin ich auch auf Nintendos Konsole immer wieder gern in Laden und Dungeons zurückgekehrt. L'ambition kickstartée de ne négliger ni le combat ni le commerce était grande, Sun Digital la réalise parfaitement. Guerrier ? Marchand ? 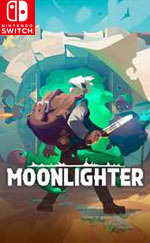 Moonlighter est avant tout un sublime alchimiste capable d'hypnotiser le joueur pendant près de vingt heures, en lui faisant oublier la frénésie de la collecte et le relatif manque de variété des monstres. La richesse, la vraie. Moonlighter é um jogo único e bastante original que, embora seja um pouco repetitivo, merece uma oportunidade, seja por parte dos apreciadores de acção como até dos que gostam de jogos de gestão. 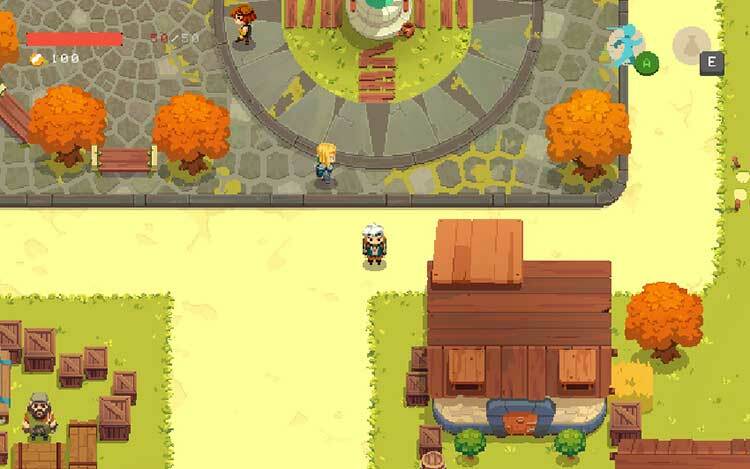 Moonlighter vai certamente apelar aos gostos de ambos. È vero che dungeon e boss non raggiungono livelli di eccellenza visti in Zelda, così come la storia non si mostra mai particolarmente profonda come in certi RPG classici, eppure lo strano misto di elementi che compone Moonlighter e soprattutto la maniera profonda e insieme naturale con cui questi vengono proposti al giocatore, finiscono per legarci a Will e al suo sogno. C'è sempre qualcosa di nuovo in cui investire i sudati risparmi, e il fatto che questi derivino direttamente dalla nostra gestione del negozio aggiunge un senso di compiutezza al tutto: se a questo si aggiungono un'estetica azzeccatissima, sebbene non propriamente originale, e una buona longevità complessiva, ecco che, anche considerando la natura di opera prima, c'è ben poco di cui lamentarsi.